I have this Chrispook, mine hasn't flowered yet though. It's a lovely plant. 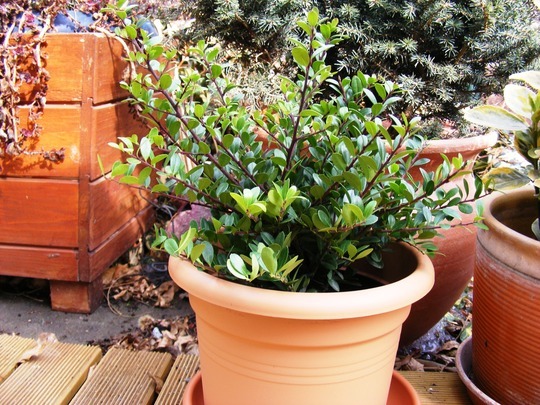 See who else is growing Ilex crenata (Japanese holly). See who else has plants in genus Ilex.